Kindly explain to her that this is an adult novelty piece. Tell her it’s $10 and say nothing else. Sell it to her for $1, saying nothing, and laugh inside knowing that it will cause her extraordinary embarrassment at her grandsons birthday party. Free to Play – Good or Bad? This is the first time I have left a comment for your podcast. I normally love your podcast, but honestly the comments from Deirdre about homeless people needing to get a job was one of the most ignorant and belittling things I have ever heard. I am a Army Vet and help the homeless as part of the job I do. If people could get a job they would not be homeless. To think that people are just lazy and want to be out on the street is stupid and uniformed. Many times mental issues have come into play in these peoples lives and they have no safety net like a family or friends to fall back on. Once someone is homeless in this country their chances of getting gainful employment dramatically fall. These are all facts than anyone with a ounce of common sense could find by doing just a modicum of research on the subject. Its simply a uninformed assumption you made and you made it on a podcast with many listeners. This has nothing to do with political ideology or anything these are simply the facts behind what causes homelessness. I still like the podcast and keep up the good work. Well, the issue with sprint could be technically difficult since it’s just boosting a base ability, while Heroic Moment do require companion to use, so it’s basically resolved initially anyway, since in Warzones the companion use is disabled. My deepest apologies for offending you. My comment wasn’t meant as a blanket statement, but I can understand why you would take it out of context. Please be assured that I am sensitive to the plight of the homeless as I am directly related to two people who have been homeless. My aunt whos is bi polar/manic depressive and my brother who was a twenty year old lazy brat who found it easier to ask for handouts on the Venice boardwalk instead of working. I find what my brother was doing insulting to those who are truly in need and I have very little respect for those that take advantage of a system when they don’t need to because they are lazy. Again, this is not a blanket statement and I hope you don’t misinterpret the point I’m making. Please continue listening, and thank you for addressing this issue so that I could clarify my stance. Again, my deepest apologies for offending you. Thanks Deirdre for clarification. It is a sensitive topic for me since I deal with it each and every day. If I came off as harsh I would like to apologize for that as well. I like the show and listen to it while I do dailies and PvP. I hope you all at CCR keep up the great work you do. 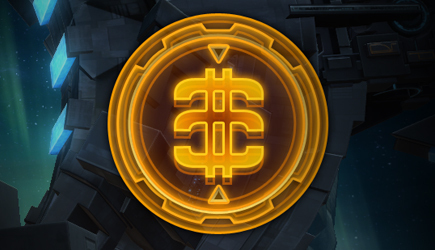 Thank you so much for your support of the SWTOR community. great show as always! ^_^ I think I drove by the sale yesterday, I live in Burbank, was there a fire truck there? Hey there Wicket, there wasn’t a fire truck as far as I know, but there could have been one while I was recording and I didn’t see. D, I think the main reason they didnt boost the sprint speed is because of the PVP imbalances and instead of figuring out how to cancel the effect in warzones they just decided to add those priority transport, another weird design choice by Bioware. About the Forums, I can totally understand why they dont want millions of people flooding the forums, I dont know what reasons the players could have, but for Bioware its just a matter of manpower and resources, the mods and community team wont be able to handle that ammount of people posting, so having the forums open for everyone might not be feasible, they are already undermanned already. Any chance of uploading this podcast to the old format, that is to say using the format of the previous ones found on the right hand side of the site? The new format isn’t working on my work computer, and I can’t listen on my lunch break. =( Thanks! We didn’t change the format. Please try again. I just reloaded the podcast in the podcast directory on the right side. I hope that helps! Thank you for listening! hmm, maybe not then Deirdre. I remember driving by and saw a fire truck and some classic cars so I thought maybe that was y’all when you mentioned it in the show. 🙂 looked like the fire truck was just there for any kids to play around. Working great now, thanks so much Carla! Love each and every show! You guys brighten my day! Great! Thank you so much for listening! I rather keep Pay the $15 / month, And when i have the money i will pay the $15. But their will be times when the money is tight, and Bills in my house hold comes first. I’m glad that i will atleast can continue to play SWTOR, even if it is at a lower grade. So i will be bounsing back and forth, as money prmits.